Free shipping on the Airpots is limited to 1 case (which has 6 airpots in a case) per customer. 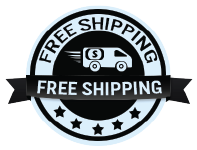 The free shipping will be shipped with whatever method is cheapest (UPS GROUND), and it is limited to the Contiguous United States (the 48 adjoining states). Excludes Alaska, Hawaii, US Minor Outlying Islands, Puerto Rico, Nothern Mariana Islands, Virgin Islands, Guam, & Samoa. Sav-on Bags is able to withdraw from this promotion at any time without notice. Any other items (other than the 1 case of Airpots) added to the customers shopping cart at the time of purchase are not to be included in this free shipping promotion. Unless otherwise specified, all materials appearing on this site, including the text, site design, logos, graphics, icons, and images, as well as the selection, assembly and arrangement thereof, are the sole property of Sav-on Bags., Copyright © 2006, ALL RIGHTS RESERVED. You may use the content of this site only for the purpose of shopping on this site or placing an order on this site and for no other purpose. No materials from this site may be copied, reproduced, modified, republished, uploaded, posted, transmitted, or distributed in any form or by any means without our prior written permission. All rights not expressly granted herein are reserved. Any unauthorized use of the materials appearing on this site may violate copyright, trademark and other applicable laws and could result in criminal or civil penalties. We only accept the following credit cards directly through our site: Visa and MasterCard. For all Discover and American Express, please use Paypal to complete your transaction. There is no surcharge for using your credit card to make purchases. Please be sure to provide your exact billing address and telephone number (i.e. the address and phone number your credit card bank has on file for you). Incorrect information will cause a delay in processing your order. Any custom printing/packaging projects we work with you on (any level of work involved), you are allowing us to take our own pictures to display on our website and/or printing in our catalog(s) and/or advertisements. If you would like us to not display any artwork, finished product, etc. you need to express this before anything has been printed and/or displayed on our website and it needs to be written in a dated letter/email. We will try and accommodate any discretion. We can assure you that any use of your packaging/artwork will never be displayed in any harsh or inappropriate way. Any issues please feel free to call us if you have any questions at all. All daily or monthly deals are subject to ending prior to the posted date at the sole discretion of Sav-on Bags Inc. with no notice needing to be made. There are no back orders or rain checks being allowed once the inventory of the listed item has zero stock. We only accept money orders, cashier’s checks U.S. Dollars only. Orders are processed upon receipt of a money order or cashier’s check. Orders will be processed upon full receipt of payment. Your receipt of an electronic or other form of order confirmation does not signify our acceptance of your order, nor does it constitute confirmation of our offer to sell. Sav-on Bags reserves the right at any time after receipt of your order to accept or decline your order for any reason or to supply less than the quantity you ordered of any item. These Conditions will supersede any terms and/or conditions you include with any purchase order, regardless of whether Sav-on Bags signs them or not. We reserve the right to make changes to this site and these Conditions at any time. To keep you informed about our latest offers, we may notify you of current promotions, specials and new additions to the Sav-on Bags site. You may unsubscribe from our newsletters by following the unsubscribe instructions in any email you receive from us. At Sav-on Bags, our goal is to ensure your complete satisfaction with your purchase. If, for whatever reason, you are dissatisfied with your purchase, you can return it to Sav-on Bagswithin 15 days of receipt of item(s). Claims for missing items or items damaged in transit must be received within 3 business days of receipt of merchandise. Refunds on returned items will be issued in the form of store credit, unless previously requesting a return via the same payment form as tendered at the time of purchase. If payment was made by credit card, once we receive the product we will credit your account. Please allow 7-10 business days for a credit to appear on your credit card statement. Please read all conditions below. If conditions are not met, Sav-on Bags reserves the right to refuse the return or exchange. • All items returned for exchange must be in original package, free of markings, and in clean, resalable condition. Sav-on Bags will not accept items that have been used, abused, mishandled, worn or have any missing parts. • Sav-on Bags will charge a 15% restocking fee on all returns and exchanges. Sample orders are not refundable/returnable. • For all stock items returns and exchanges are valid within 6 months of receipt of shipment (this does not include items with any application services, such as valve application or tin tie). • Customized merchandise (This includes all tin tie application, valves applied in non-standard locations, and label application.) and sale items cannot be returned or exchanged. • For large quantity orders, please contact your sales representative for further instructions on returning. • The customer is responsible for all freight charges for the returned items. • There will be no cross shipping. Replacement items will not be shipped until the returned items are received. • Please be aware that replacements are subject to availability. • All returns and exchanges must follow the RMA procedures or will not be accepted. Please see RMA Procedures below for return merchandise instructions. • All heat seal machines including the hand-held heat sealer and parts are subject to a 6-month limited warranty. Merchandise received with any manufacturing defects must be reported within 30 days of receiving the product. Please report all defective merchandise to sales@sav-onbags.com, report the total pieces defective and include clear pictures showing the defective merchandise. • Sav-on Bags liability is only to replacing or refunding the packaging that has been deemed defective. Sav-on Bags will be the one who will determine that the packaging is deemed defective or not. Sav-on Bags will not be liable for any material or product that has been damaged or lost due to the defective packaging. Limitations include: 5 bags and/or 3 tins for free (unless there is a individual price on the item) per customer. It is the sole discretion of Sav-on Bags Inc. to decide what is and what is not free (no charge) regardless of what is listed on the website. Shipping is never free on a sample order. If customer add's more sample items over the free limitation, Sav-on Bags Inc. is allowed to charge an individual price per item over the free limitation. Due to the complication of some samples orders, please allow 1-4 business days for the samples to leave our warehouse. Thank you for your patience and understanding. Full case orders: Orders by standard shipping method (UPS Ground) received will ship within 1-3 business days, provided the product(s) ordered is in stock. .
Less than full case (split case orders): Orders by standard shipping method (UPS Ground) received will ship within 1-4 business days, provided the product(s) ordered is in stock. Valve/Tin Tie Application: If your order includes valve and/or tin-tie application, processing time for your order is subjected to an additional 2-5 business days. During the holiday season, the times may be subject to delay without notice. You may call our Sales team to verify the ship date of your order, we apologize for any inconvenience this may cause. Orders requiring expedited shipping method received before 12:00 AM PST (Los Angeles, CA, USA) will ship the same day, provided the product ordered is in stock and does not require any additional services (ex: Valve/Tin Tie Application). Orders received after 12:00 AM PST (Los Angeles, CA, USA) will be shipped the following business day. We encourage you to check with our sales team the availability of a product before placing an expedited order so you may receive your product in a timely manner. Sav-on Bags will not be responsible for delayed expedited orders due to miscommunication or product availability at the time of ordering. Weekend Orders: Orders are not processed or shipped on Saturday or Sunday, except by prior arrangement. All prices are F.O.B. Ontario, California. Sav-on Bags ships all orders via United Parcel Service (UPS). Please contact our office if an alternate shipping method is required. We cannot guarantee when an order will arrive. Consider any shipping or transit time offered to you by Sav-on Bags or other parties only as an estimate. We encourage you to order in a timely fashion to avoid delays caused by shipping or product availability. Custom Brokerage & Duties are not paid by Sav-on Bags. If you are importing to a country outside the United States, it is your responsibility to handle all Custom Brokerage and Duties. Any specific documents you may need, please contact our Sales team at (909) 923-9588. All shipments will be carefully checked prior to delivery. Any incorrect shipment, shipping damage, or discrepancy of the order must be reported within 5 business days of receipt. Any orders that are being delivered to a freight forwarding address, forwarder, or forwarding agent will assume all responsibility if the package doesn't get delivered or gets returned back to us. There will be no refunds on shipping costs. Any orders that qualify for free shipping will be shipped by UPS Ground. Please note, no shipping to a P.O. Box. Our Store shall automatically charge and withhold the applicable sales tax for orders to be delivered to addresses within the same state. For orders shipped to other states, you are solely responsible for all sales taxes or other taxes. Sav-on Bags charges 9.75% sales tax for non-resale items shipped within California. We will gladly waive the sales tax for tax-exempted customers. Please fax us a copy of your Resale Certificate to (909) 992-7030.